This pen has been lovingly used. It does not come with box or papers. It is a prototype so it is numbered 0 out of 200. There is some slight tarnish on the vermeil. It is equipped with an Italic Broad nib. This limited edition from Conway Stewart celebrated the life and achievements of one of the greatest engineers of British history, Isambard Kingdom Brunel. Brunel was born in Portsmouth, England in 1806. Plymouth is the home of modern day Conway Stewart and it seems only appropriate for the company to name this superb new design after this local legend. With an interest and aptitude for mechanical engineering fostered from an early age, Brunel went on to become a noted figure of his time, working on such projects as the Thames River Tunnel, the Clifton Suspension Bridge, the Great Western Railway, and the design of the first commercially successful steamships. Brunel’s legacy lives on in Britain today; in 2002 he was selected in a BBC poll as the second of “100 Greatest Britons” (superseded only by Winston Churchill). Many of Brunel’s bridges are still in use, as well as railway stations, including the main Paddington Station in London. His focus on adapting the design of steam driven ships from paddle wheels to propellers brought the age of modern transatlantic shipping into being. Throughout his life, Brunel dedicated his career to seeking new technologies, reshaping mechanical and structural engineering as well as architecture. In keeping with the bold style of Brunel himself, the Conway Stewart Brunel edition is a striking construction of solid hallmarked sterling silver coated with rose gold. The cap and barrel are engraved with a crisp design of interlocking angled lines inspired by vintage engineering drawings. 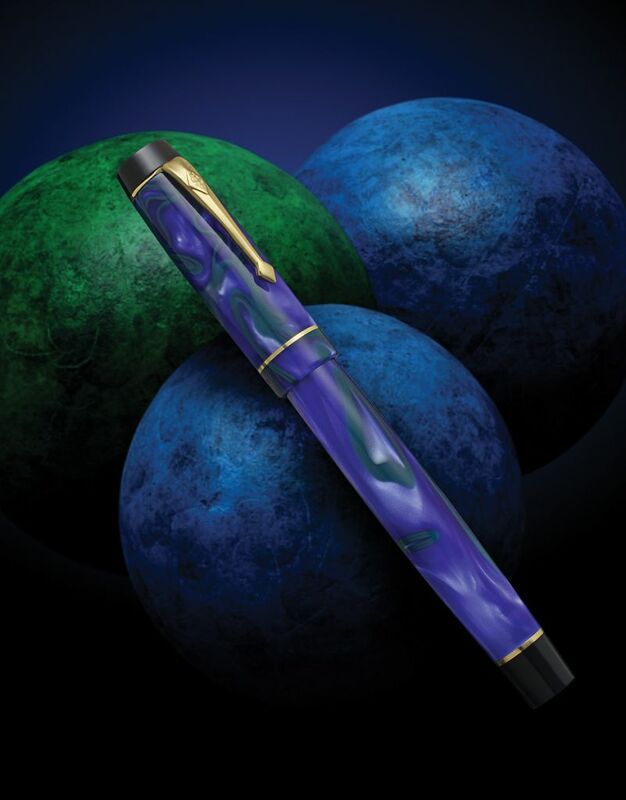 The result is a classic fine writing instrument that offers a distinguished and elegant touch of refinement. The Conway Stewart Brunel is a full sized pen with polished sterling silver cap and barrel coated in rose gold. Each piece is carefully crafted in our facility in Plymouth, England to ensure the ultimate expression of fine writing for our customers. The hallmarked sterling silver forming the cap, barrel and gripping section begins as solid rods of precious metal, not hollow stampings and as a result the Brunel features an imposing heft. 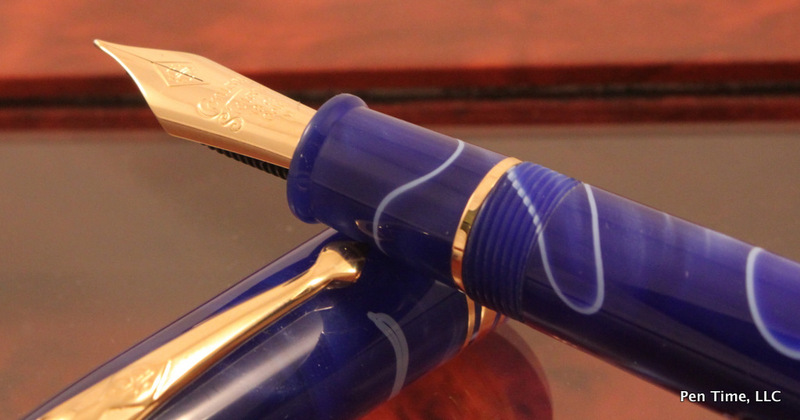 The Brunel fountain pen is mounted with a large 18 carat solid gold nib. It has a gently tapered front section allowing for a comfortable grip when in prolonged use, assuring each owner the ideal writing experience. This solid sterling silver gripping section leaves the weight centered low in the hand, ensuring that the pen is balanced well when writing. 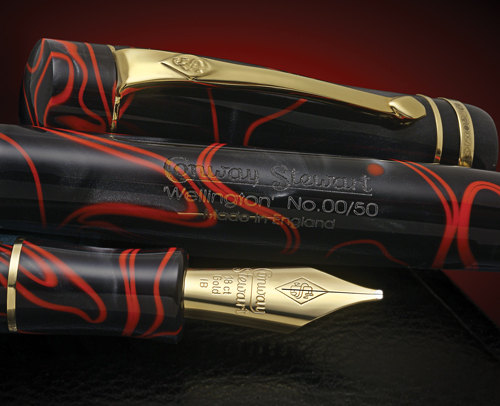 The large solid 18 carat gold nib is carefully masked with rhodium to match the bright sterling silver of the trims, with the Conway Stewart logo rendered in gleaming yellow gold at the center. Ink is supplied by the reliable cartridge converter system, allowing both the use of a wide range of vibrant colors in bottled ink, or the ease and convenience of ink cartridges.